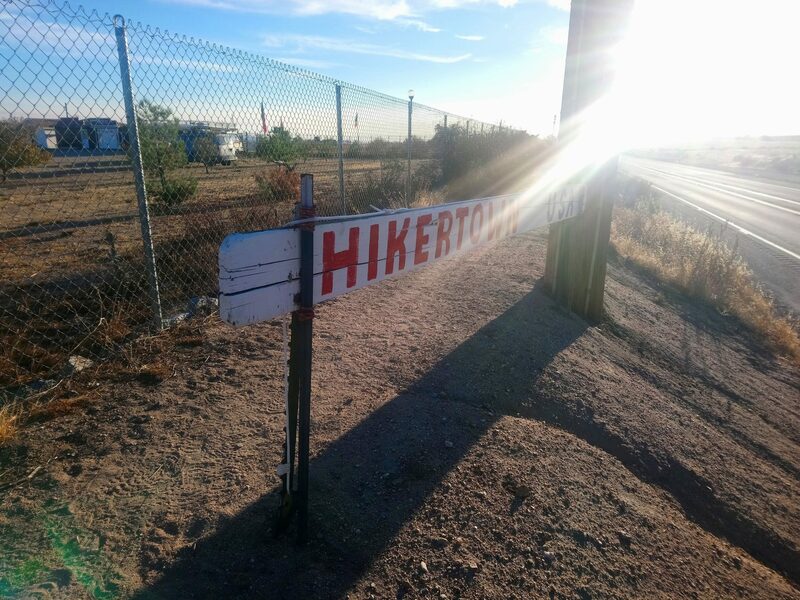 A litter of three-month old kittens crept up before scurrying away, several chickens dodged the cats as a flock of mountain chickadees darted for safety, this was Hiker Town. The unusual hostel-like complex was on a lone plot of land along highway 138. The owners transformed it into a miniature ‘town’. A mock post office, jail, hotel, and even a school house. 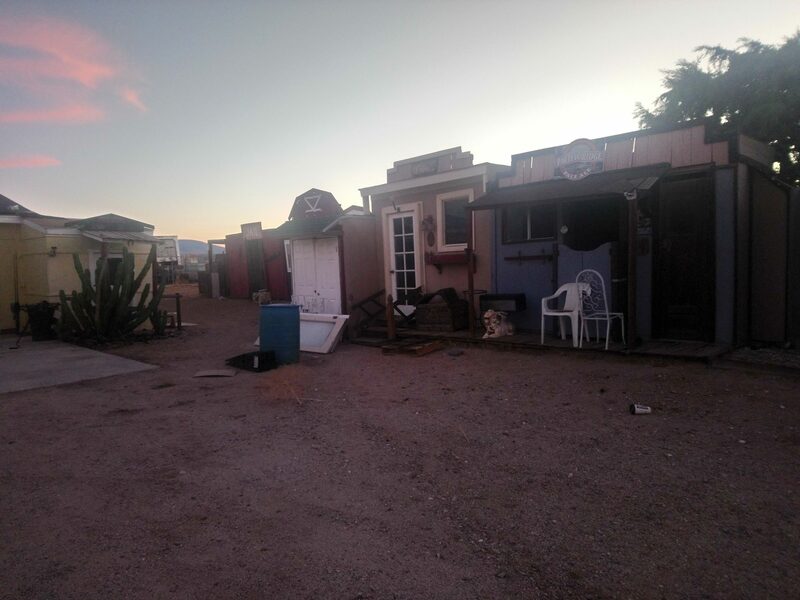 The decorated shacks gave it the feeling of an old western movie set. This was fitting because I have practically been walking through a John Wayne movie this entire week. Soon after leaving Hiker Town I was flocked by gnats. The hordes of tiny winged villains haunted me for the next 20 miles. Winds the next day where strong enough to make me lose my footing several times, but I was happy, the bugs were scattered. Arriving in Green Valley I decided to make a stop at Casa De Luna. Terrie and Joe are legendary trail angels who have been hosting hiker for almost 20 years. Stopping at the ‘House of the Moon’ was one of the best choices I have made on trail. As I approached their house I read a sign, ‘Hippie Day Care’ I knew I was in the right place. 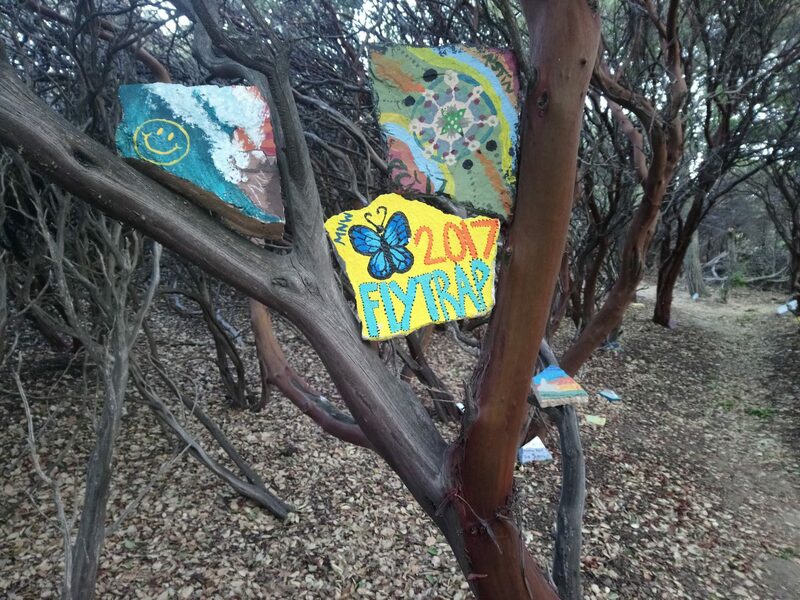 The property was littered with painted tiles. 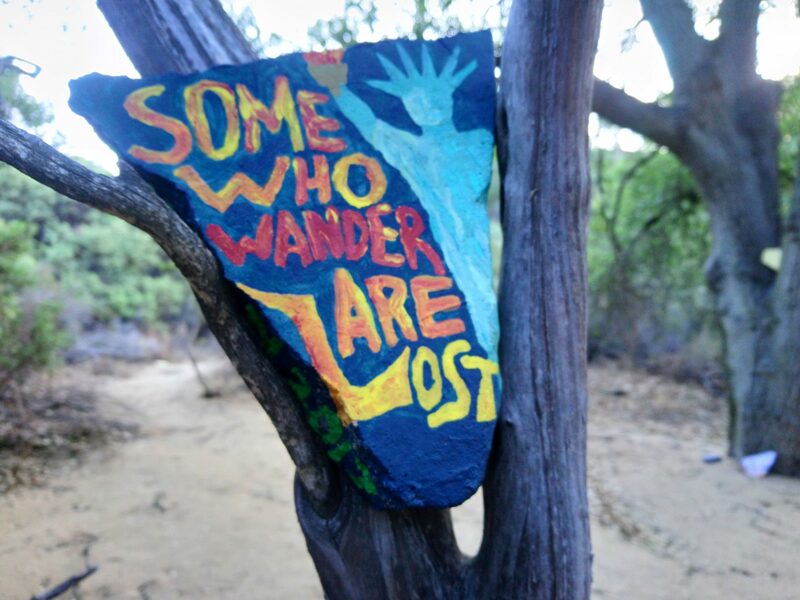 Visiting hikers are encouraged to make some art during their stay. Those tiles where better than any art gallery I have ever seen. The character in each one was like meeting the hikers themselves. Another tradition in Casa De Luna are the Hawaiian shirts. While I did laundry they loaned me a flashy tropical shirt. I have lugged my Ukulele over 1000 miles, having a matching shirt was a big moment for me. Leaving this peculiar and enchanted place was hard. The free spirited, laid back, and artistic atmosphere of Casa De Luna will not be forgotten any time soon. Within two days I was at yet another iconic trail angels house, Hiker Heaven. The desert is truly full of givers. Very cool! 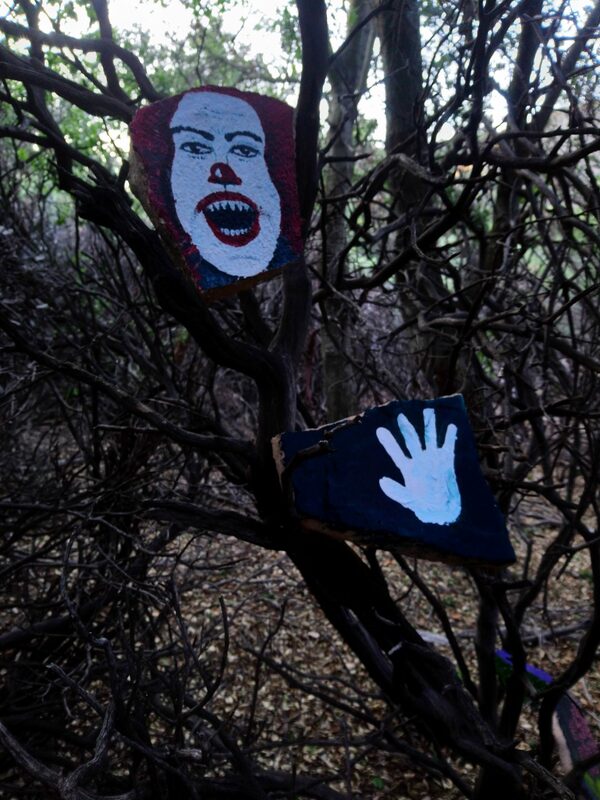 A touch of “civilization.” Although, the Pennywise clown face might scare off some hikers! 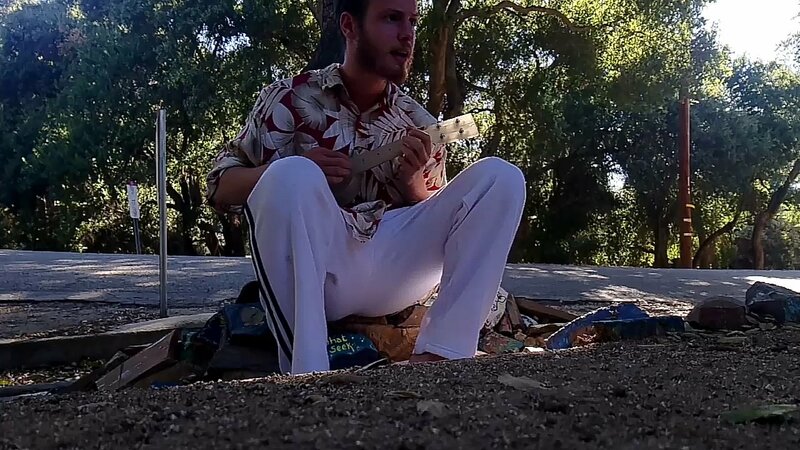 Knowing this community of hiker trash I think it probably attracts more than it scares away. Glad I found your blog. My wife and I met you (with our dog) last weekend hiking near the Mill Creek Ranger Station. I was wearing the TCU hat. Now that we found your blog, we’ll be avid readers. Good luck….you’re almost done…..
Glad you guys found me,it was nice running into some actual hikers as apposed to hunters. Don’t worry you will still have lots to read, I will be out here for about another month. Amazing that you remembered our trail names…..we’re relatively new to the hiking community so we’re just getting used to trail names. Hey YOU! Thanks for the postcard! What a great watercolor and what a good thing you are doing by sharing this experience. I send you big hugs and will check in.